This is Tankena, better known as Tank Mare, daughter of a metalsmithing family from Stalliongrad. This pic was created for me by a collaberation of some of my artist friends. IS THIS A TANK GIRL PONY. BECAUSE I THINK I LOVE ME SOME TANK GIRL PONY. Yep! 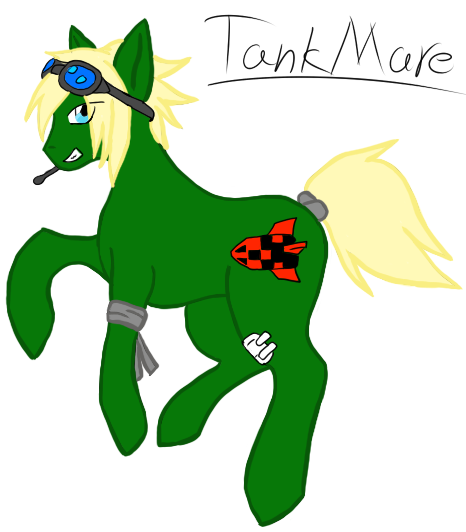 This is a pony inspired by "Tank Girl" though the ponified version fits more into the World of Equestria.